Simple Mandala Block B, 17 - 3 Sizes! Great for quilts, pillows and more. Earn 3 points at checkout OR buy this item for 55 points. 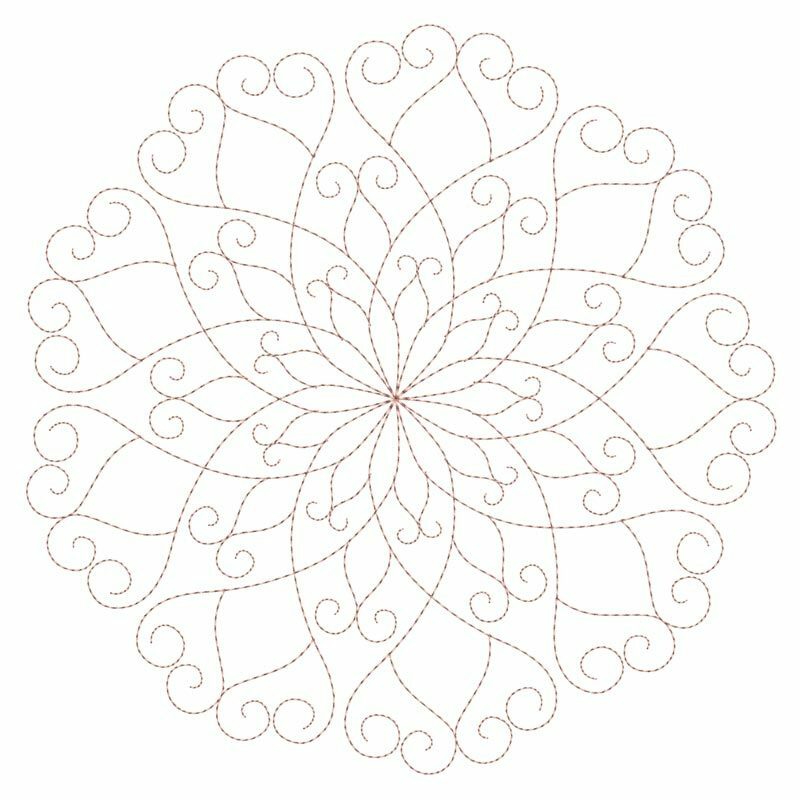 Simple Mandala Block A, 4 - 3 Sizes! Simple Mandala Block A, 10 - 3 Sizes! Simple Mandala Blocks Set B - 3 Sizes! Finish Size 5.02" x 5.02"
Finish Size 6.99" x 6.99"
Finish Size 7.85" x 7.85"
This design is also available in a larger set. Just click on the "Simple Mandala Blocks Set - B" link in the "You might also like" section for more information.